When Apple first released its own standalone Maps app, reports of wrong directions and even life-threatening situations  were aplenty. But after avoiding the spotlight for some time, the sometimes flawed and inaccurate data of the app has struck again, this time in Alaska. 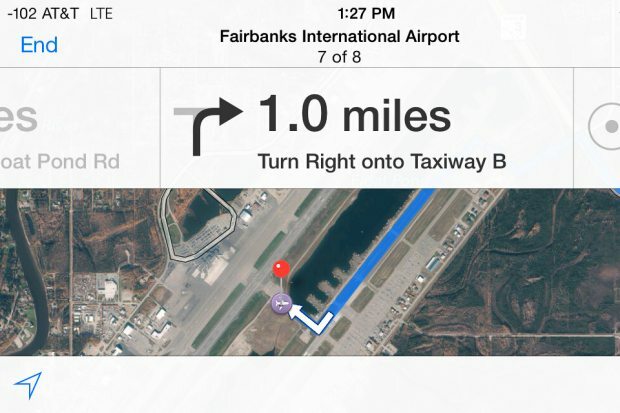 Directions to the Fairbanks International Airport reportedly direct users into driving onto the airport’s taxiway. The taxiway is regularly used by aircraft, but even worse, some people have even driven onto the runway itself by mistake. Apple has since issued a temporary fix that disables guided directions to the airport for the time being, and the Alaska airport has put up fences and several stop signs. Apple Maps clearly needs some work and if you own an iOS device, you should be using Google Maps. But if these people can drive past several signs, a gate and onto what I am sure does not look like the entrance to an airport, they probably should be paying more attention. Stop flirting with Siri while you drive, dummy.